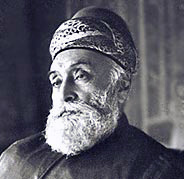 ↑ "webindia123-Indian personalities-Industrialists-Jamshedji Tata". webindia123.com. ↑ "Family Tree of the Tatas". Retrieved 9 September 2006. ↑ "Biography on TIFR website". Retrieved 9 September 2006. ↑ "Tata Steel website". Retrieved 9 September 2006. ↑ Oxford Dictionary of National Biography, Volume 48. Oxford University Press. 2004. pp. 675–676. Article on Saklatvala by Mike Squires. In the article he is simply called J.N. Tata.